The iPhone 8: Wireless Charging? Apple has been hell-bent to eliminate all the wires from its products. There seems to be a method to this ‘cutting the cords’ madness. In the earlier days it was pleasantly surprising to see the wires of Macbooks connected magnetically, which is a common feature now. This allowed it to detach harmlessly instead of taking the laptop down with it, in case someone tripped on it. It prevented your laptop going off the table in StarBucks, and crashing on the floor. After that a lot of standard ports started disappearing from the MacBook lines. It was an indication of the mindset inside the one infinite loop. Then came the Wi-Fi iTunes Sync and also the AirDrop in the iPhone and the iPod touch. It seems they don’t like wires! The soon-to-be-out AirPods, Apple’s wireless incarnation of the EarPods, are the latest proof that they really do not want any wires whatsoever. These $159-a-pair ear ornaments have decent technology, but I have a hunch that Steve Jobs would not have approved of the design. They look kind of incomplete, dangling in the ear, ready to fall off. But that’s just me. Now there are rumors that next year’s iPhone 8 will have wireless charging built-in. Apple also has a few patents out for this kind of technology. It seems to fit the pattern here. 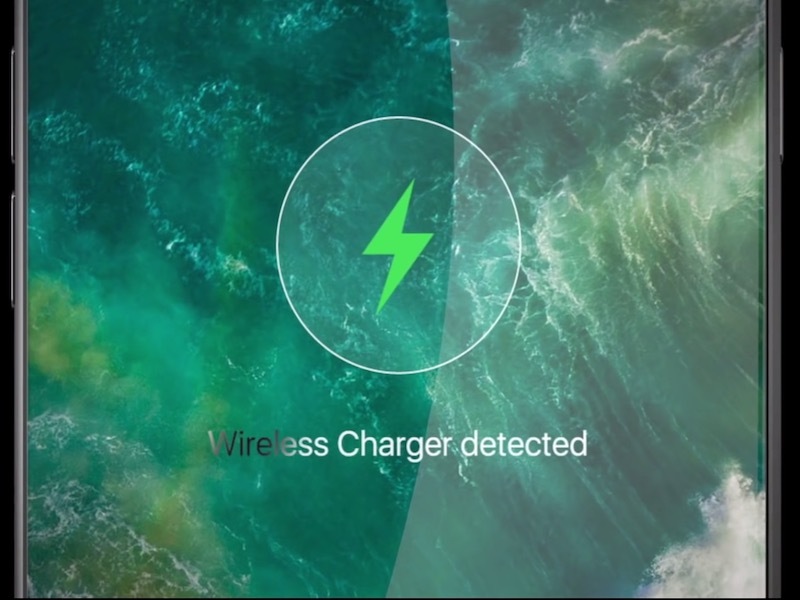 The Apple Watch, the over-hyped but moderately successful product, already has wireless charging built-in (through MagSafe), and it’s too early to tell whether the new iPhone coming out next year would employ the same wireless technology or not. It is hard to believe but true that the iPhone was initially launched 9 years ago in 2007, when the best smartphone out there was a clunky Blackberry Bold. Next year is the 10th anniversary of the most successful product ever created by Apple, and they are bound to have a lot of new technologies in it. If they are able to give a good battery life and take care of the portability factor (in case of wireless charging), I am all for it! It might not be that much exciting as the other rumors circulating, regarding the upcoming iPhone 8: An edge-to-edge display (bezel-free) with a software ‘Home’ button.